Preheat oven to 160°C. Place the butter, sugar and vanilla in an electric mixer and beat for 8–10 minutes or until pale and fluffy. Add the eggs, one at a time, beating well after each addition. Add the flour and beat well to combine. 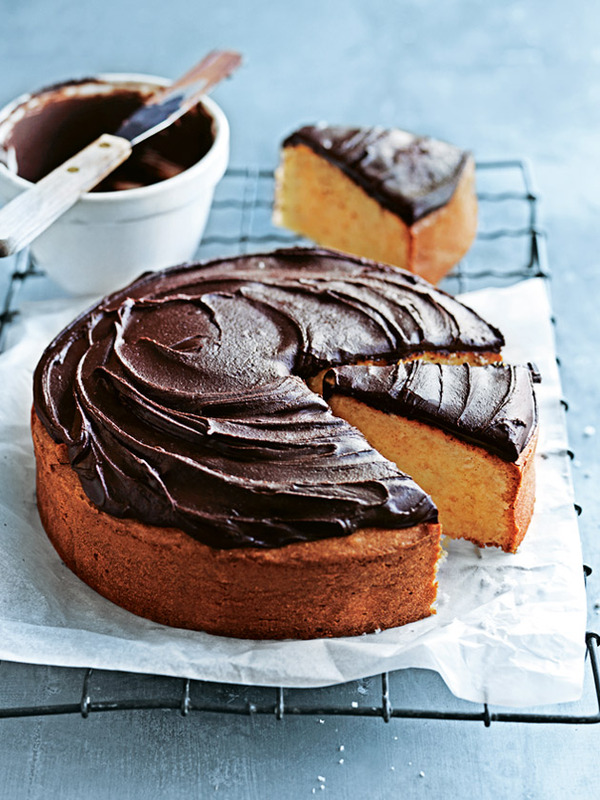 Fold through the milk and spoon into a lightly greased 20cm round cake tin lined with non-stick baking paper. Cook for 55–60 minutes or until cooked when tested with a skewer. Allow to cool in the tin. To make the chocolate icing, place the icing sugar, cocoa and water in a bowl and stir until smooth. Spread the cooled cakewith the icing to serve. Serves 8. Hi if I were to use a loaf tin for this recipe, what size? Hi Onalie, you can bake this cake without baking powder if you dont have any in your pantry. Happy cooking!